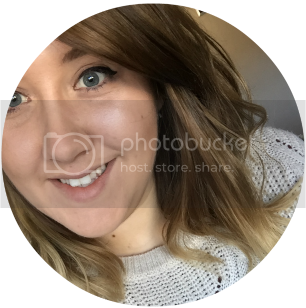 I still have no laptop but I am going shopping today so fingers crossed I can buy one and get myself back up and blogging! I managed to have a sneaky go on my mom's computer so I thought I would do a little tag post :) I got this tag from Kate over on Katie Louise Blogs. Yes I do :) It's Ann. Without the E! I enjoyed Art, History, English and Textiles. I can't stop singing Taylor Swift's new song "Shake it off" It's so catchy! I did when I was younger but I've changed my mind so I'd wait until I actually get pregnant to decide things like this. I used to play Badminton when I was younger but nothing now. Does going on the Wii count? I love my Hunger Games books! They're probably my favourite thing to chill out with. Cats. 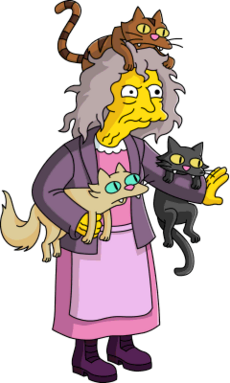 If I never have children I'd be quite happy to be the Crazy Cat Lady from The Simpsons. I'm currently loving my Dot by Marc Jacobs as well as Jour by Boss. Christmas, definitely. I've had so many good memories with my family over the Christmas period! Yes I have but I've haven't been to as many places as I've have liked to :( I mainly stick to Spain and Greece but this year I went to Paris and I absolutely loved it! No :( I did study German in high school and I always remember being quite good at it. Nope, I'm an only child! Primark. That wins hands down! I love Chiquitos! Definitely could eat there every night! It was such a long time ago and I always remember wishing it to end so I can go to college but looking back, I wish I'd have made more of an effort and actually enjoyed it a lot more. Beauty-wise, I love Zoella. She's the first beauty blogger I ever heard of and followed. She was the reason I started! I do love watching PewDiePie as well, theres nothing better than coming back and laughing at some of his videos! There is far too many to name! I do love Rom Coms but I do love The Hunger Games and The Lord of the Rings. Currently I'm really excited for Revenge on e4 for start up again! The last season ended on such a great cliffhanger and now I want answers! iPhone 5! I am due an upgrade soon but not sure I want an iPhone 6 after all the bad press! 5"6. Pretty average I'd say. Feel free to steal it for your own page!